"Harle gallops across his musical terrain with the attitude of Axl Rose. Terrifyingly extreme and magnificently audacious, Harle is a powerful force in British jazz and pop, and has the integrity, passion and vision to challenge listeners"
"Subtitled "Dark London", this macabre but entertaining disc of new songs by Marc Almond and composer/saxophonist John Harle isn’t exactly just what the tourist board ordered. Track after track dwells on murders, mayhem, murk and misery, with references to all the usual suspects: Iain Sinclair (who reads his own words), William Blake, John Dee and of course Jack the Ripper. The virtuosic, rock-meets-classical music, however, is marvellously vigorous, sardonic and atmospheric, and Almond’s voice oozes satanic undertones". "Almond's richly expressive voice is the unifying thread of a set-piece that demands attention but is far from dour, as the '60's pop-toned 'My Fair Lady' and brilliantly OTT 'Labyrinth of Limehouse' attest"
" John Harle's epic CV includes soundtracks, classical works and drama, all of which feed into the saxophonist's ambitious song cycle about "Dark London". There are splashes of cabaret and jazz, but the echoing, crepuscular atmosphere is dominated by Almond's impressive neo-operatic singing (some distance from electro-pop! ), with a thumping, galloping finale that uses an extract from Blake's "prophetic book" Jerusalem. I have waited impatiently for months for this release, and I am not one bit disappointed. Just as creative, dark and fun as I knew it would be. John Harle's gripping compositions combined with Marc's innate ability as a storyteller had me on the edge of my seat from start to finish. Favorite tracks so far are Spring-Heeled Jack, Ratcliffe Highway and The Labyrinth Of Limehouse. 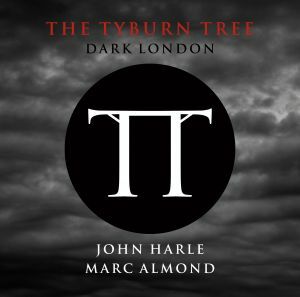 This is a must have for any fan of Victorian times, dark cabaret, or Marc Almond. I absolutely love this! Can't wait for the vinyl edition!